When you’ve been injured due to someone else’s negligence or misconduct, you have only one chance to obtain suitable compensation for the harm you’ve suffered. 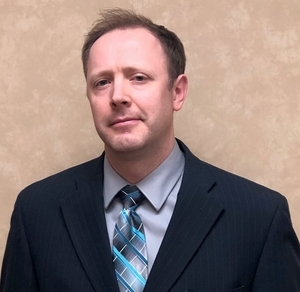 At Jeffs & Jeffs, P.C., we have provided high-quality legal representation for 60 years and understand the legal and practical aspects of every injury claim. Our attorneys have the skills and experience to advocate for you effectively at trial, in settlement negotiations, in mediation or before an arbitrator — whichever forum suits your situation best. In Utah, the statute of limitations requires a personal injury claim to be filed within four years of the injury, so if you are considering seeking redress for your injuries and related damages, we can advise you of the legal options that exist. Insurance negotiations: Utah is a no-fault auto insurance state, and our attorneys can handle any problems you might be having with your insurance carrier’s response to the accident. Commercial vehicle claims: Special rules apply to trucks and other commercial vehicles. If you’ve been in a truck collision, we can review each relevant regulation to determine whether a violation occurred and hold the responsible party accountable. Pedestrian injuries: If you have been hit by a vehicle while walking, Jeffs & Jeffs, P.C. can help pursue appropriate damages from the driver at fault. When you are injured in an automobile accident, insurance carriers and adversarial attorneys will often try to persuade you to accept a settlement that is against your legal interests. Consulting with a Jeffs & Jeffs, P.C. attorney can ensure that your rights are not infringed upon. Products liability: Many products thought to be safe when used as directed can cause serious physical injury when people least expect it. No matter which party is liable — a manufacturer, designer, distributor, or retailer — we can hold the wrongdoers accountable and help you obtain a fair recovery. Medical malpractice: Claims against doctors, hospitals and other medical providers can be difficult to prove without an experienced advocate who can marshal the requisite expert testimony and factual evidence. At Jeffs & Jeffs, P.C., we have the background and network to develop a thorough case when you’ve been harmed by professionals you trusted to heal you. Premises liability: Falls and other types of accidents on someone else’s premises often result from a property owner’s negligence. For any situation, we understand the duty of care and can assess whether it has been breached. A Jeffs & Jeffs, P.C. attorney will take the time to explain the legal elements of your case so you can make an informed decision. Under Utah law, even if you were partly responsible for your injury, you can still collect damages from the party who bears a majority of the fault. Jeffs & Jeffs, P.C. represents Utah clients in personal injury actions arising from vehicle accidents, medical malpractice and other forms of negligence and misconduct. 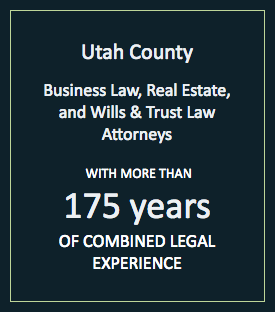 If you require experienced legal counsel, please call 801-373-8848 or contact us online to schedule a meeting. We have flexible hours, free parking and are located two blocks from the Provo courthouse and one block from the new Latter-Day Saints Historic Provo Temple. How much can I get for my personal injury settlement? Personal injury suites can vary in the payout. Jeffs & Jeffs is located in Provo, Utah and serves clients throughout Utah, includng in and around Utah County (Alpine/Highland, American Fork, Goshen, Mapleton, Orem, Payson, Provo, Springville, Spanish Fork, etc. ), Wasatch County (Heber) Salt Lake County (Salt Lake and surrounding cities, Park City), Juab County (Nephi, Santaquin); Fillmore County (Fillmore, Delta), Sanpete (Gunnison, Manti), Sevier County (Richfield), Grand County (Moab).